If you want to binge your favorite CBS show like Blue Bloods or Criminal Minds, now's the time to turn to Netflix. She knows her TV, award-winning journalist and best-selling author Joan Lunden joined us from New York City. It's a new month which means there are new shows on Netflix! Television personality, award-winning journalist, and best selling author, Joan Lunden has an inside look at all of the hottest shows this month. One of America`s most recognized and trusted television personalities... Award-Winning Journalist And Best-Selling Author Joan Lunden joined us from New York City to update us on what's new on Netflix in June. Joan Lunden shares the latest in CBS programming on Netflix. Lisa Stanley, the resident Rent-A-Yenta, talks to Joan Lunden (Good Morning America) about her life changing moment with the diagnoses of breast cancer and trust me she doesn’t bore us, she gets right to the chorus! If you're looking for a new show to binge or a new movie to sit down and enjoy, look no further than Netflix. 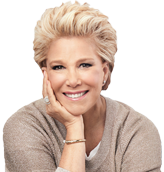 Joan Lunden shares the latest. Don’t miss this informative event. See award-winning journalist and bestselling author Joan Lunden live and in-person. For nearly two decades, Lunden greeted viewers each morning on “Good Morning America”, bringing awareness to the day’s top stories. “Extra’s” Tanika Ray sat down with Joan Lunden at Universal Studios Hollywood, where the TV host opened up about her fight against cancer. Lunden is partnering with Amgen to meet with fellow patients and survivors of cancer. For more, visit AtHomewithJoan.com! Joan Lunden visits Access Live's Kit Hoover and guest co-host Jeff Dye to talk about her breast cancer journey. And now she's teamed with Amgen, an educational initiative that includes a series of videos including AtHomeWithJoan.com. What’s New to Watch For Criminal Minds Fans on Netflix? Joan Lunden Gives us a Sneak Peak of What's New on Netflix. Julie and Hazelmarie spoke with television personality and author Joan Lunden, about watching your favorite NBC shows on Netflix and more. Joan Lunden joins us to talk about what is new on Netflix. Fox 59 Indianapolis: What's New on Netflix? Grab the popcorn! Netflix has a brand new line of shows and movies...including some FOX favorites. Journalist Joan Lunden shared her top picks. What new shows have caught Joan Lunden's attention? We find out along with what popular CBS shows are coming to the streaming service. We've all been there -- we finish a show on Netflix and wonder what to binge next. Award-winning journalist Joan Lunden joined us Thursday via satellite to talk about some of the shows and movies that you can stream. Watch to see the interview for her recommendations! Cure Today: At Stupid Cancer’s annual Cancer Con, an “At Home With Joan” plenary session featured a panel discussion with three breast cancer survivors, moderated by Joan Lunden. During the session, the panel discussed their feelings upon learning of their diagnosis, how they dealt with life during cancer treatment and how they learned to advocate for themselves after dealing with side effects from aggressive chemotherapy treatment. 45% OF WOMEN AGES 30-60 ARE NOT TAKING TIME FOR THEIR HEALTH. REDBOOK offers simple, but powerful changes that women can take now to help take care of themselves and their families without sacrificing the pride they've earned. Joan Lunden stands by the cause. Giving —and receiving — help is a true challenge, so we asked the incomparable Joan Lunden, diagnosed with breast cancer in 2014, and her equally brilliant daughter Lindsay Weinberg to share what they have learned. Let their strength, insight, and humor inspire you. In honor of her husband's passing, Dana Warrior introduced the Warrior Award in his honor. She reached out to past award recipients including Joan Lunden, the second ever recipient of this award. The WWE Universe will always remember Lunden's grace, humor, candor, and the obvious love she has for her family and the adoration they expressed in their effusive support! The longest-running female host ever on early-morning television, Joan Lunden, made a stop in Wheeling on Monday night. Joan is a speaker and advocate traveling the country to spread her message about being prepared for the curve balls life can throw. After speaking, she held a question an answer session for those in attendance. Joan Lunden's appearance was made possible by the OVMC Auxiliary.